"I've worked with Katia in both one-on-one and group process capacities, across a variety of formats, and the one word that encapsulates every experience I've had with her is: POWERFUL. The fierce, gentle and direct way that Katia holds the movement of an internal process and its expression externally to me optimizes the divine feminine and masculine energies working together in harmony. She has a deep and broad well of expertise that she sources from, which means that no matter what we're working on together, it always feels masterfully held. Her deeply attuned intuition and ability to name and call forward appropriate guidance is unmatched. Katia is the real deal! Whatever it is you're seeking counsel on in regards to making the personal shifts necessary to live your most full life, I would highly recommend bringing it to Katia, surrendering to the process, and being amazed at what unfolds. I am deeply grateful for how my work with her has played a pivotal role in bringing out my full expression." "I began working with Katia about a year after treatment for Stage III breast cancer. Post treatment, though healthy physically, I was feeling very much 'offline' with myself. Dead in spirit, high in self-hate and disconnected from my body. My intention was to gravitate to a more self loving space and to come to a place to of gratitude, something I had been encouraged to feel and felt I should feel, but knew I wasn't feeling. From our first consultation I felt entirely at ease exposing to Katia all of my feelings, and completely open to her. I found through conversation with her, the complex ways I was producing my current relationship with myself. It was something I couldn't gather through therapy, counseling or meeting with a pyshclogist prior to meeting her. Katia listened but then reflected back to me more than what I said. Asking questions, gathering experiences and intuiting their impact on my story and my experience of my own narrative. My understanding of myself began to shift and expand in only the first month of working together. She encouraged me to honor myself where I was and reflect on spaces and places where patterns could shift or move to a different more loving place. Working with Katia, she has taught and continues to teach me how to love myself, in a way that doesn't look or feel like it did before. She guided me to guide myself through a transformation. Amongst so many things I feel gratitude for now, one of them is my relationship with her, and the work she guided me to do." "Katia is a natural talent for creating and holding safe space for whatever is emerging for you in the present moment. She is expert at holding space for possibility and at holding space for manifestation. Katia is a highly skilled listener who knows how to create the conditions and the container for your expression. Katia understands that people grow when they are seen; when seen as individuals and when accepted just as you are. Being seen in this way is healing. Katia will see you with the eye of her heart: with deep tenderness, with unconditional love and with acceptance. For the simple reason that you exist and for just showing up and engaging with the work. My wife and I worked with Katia over the past year. We worked together to create practices to increase the quality and effectiveness of our communications which lead to a deeper understanding of ourselves and of one another. We grew closer in our partnership and healed many of the owies that had been unattended over the years. The work with Katia resourced me to better understand the expectations that I bring to relationships. I re-learned that the source of my nourishment, support and love comes from within and are the soul’s gifts. I believe I’ve grown in the relationship, I’ve grown in self-awareness, with vulnerability and with interdependence. Katia has mastered the craft of facilitation; the facilitation of connection and the facilitation of relationship. She is a very intuitive and dialed-in facilitator of connection. Her skill with navigating connection, both one-on-one and with facilitating connection among others, is highly developed. She engages her work with authenticity, honesty and vulnerability. She is an exceptionally skilled facilitator of groups. Her skill to create and hold space for a large, diverse group and to keep them engaged and fulfilled is stunning." "I met Katia by divine appointment at Esalen in January of 2017. I had literally just set an intention to find someone who had been through divorce and could help me see the light at the end of the tunnel. Just as I spoke the words internally, I overheard a women talking and she mentioned an ex-husband. I glanced over my shoulder and saw Katia. Later that evening, I ran into her in the lodge and we ended up talking. She was warm and kind and welcoming. She offered me chocolate and listened to my story. She shared her experience and what things helped her get through her own transition. I got her business card and knew that our meeting was not by chance. I was working with another counselor at the time, but felt like in that conversation with Katia that I resonated much more with her than the person I was working with. I contacted Katia and booked my first session. The session was amazing. It was held outside, in nature, and we started off with a meditation. I felt completely grounded and at peace. At the time I was struggling to find my way through the ending of a 20 year relationship. Working with Katia has been life transforming for me. 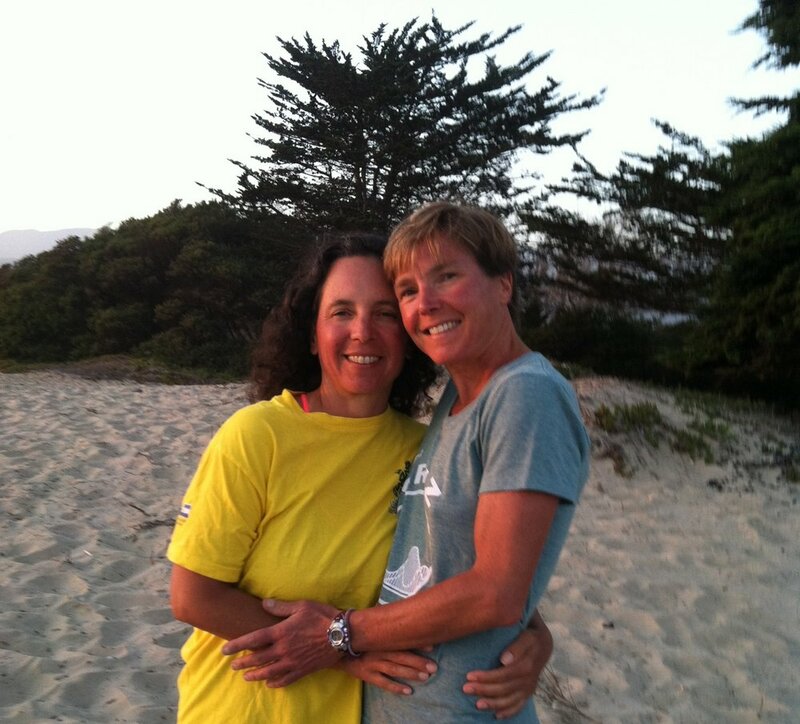 She has been with me through the arc of my recovery for the last year and has held my hand through the steps I needed to take in order to get clear on my divorce and move forward with my own life. I have very much appreciated her support in encouraging me to listen to my own inner guidance on what was best for me to do. In a recent session, she was sensing my hesitation to take the final step and actually file for divorce. For some reason I was still holding on to a thread of hope. She proposed some questions for me to sit with, meditate on and journal about. I let myself go completely into the emotions and thoughts about why I was not moving forward. By the end of the day, the clarity I was seeking came through and I realized what I was holding on to and why it was time to let it go. Without her little nudge to keep going down my path of recovery, I don’t think I would be as far along as I am. She is an inspiring person and has helped me to implement concrete practices of self love and self care into my life. I am grateful for the gift she has been. As my healing continued to make progress, I discovered my medicine is to share with others what I have learned on my journey. I recently created a website called http://www.selfsupportingpractices.com as a way to encourage others to care for themselves on a deep level. Katia has been a direct inspiration in this new endeavor. If you are looking to work with a life coach who is authentic, intuitive, inspiring and willing to give reflections when needed, then I highly recommend working with Katia."